Is it really? 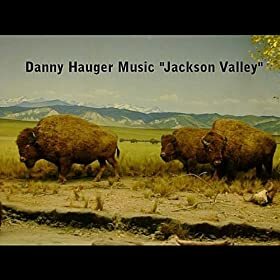 A Danny Hauger solo podcast that isn't a song? Check in with your favorite guitarist, broadcaster, sportscaster, writer, gamer, and now substitute teacher in this "How was your summer" type podcast. As you can hear from this podcast, I've been busy with freelancing. I am available for your next business document, press release, or editing review! I am also booked a few weddings I'll be playing guitar coming up so I'm certainly not putting music on hold if you want to follow just my musical aspirations you could go to Danny Hauger.com or on Twitter @DHXmusic. I plan on talking more about some news, entertainment, and what's new in life on a regular basis. This is the first installment and I look forward to reconnecting! Follow me also @DannyHauger on Twitter for the latest! After a day of bowling a 204, finding some freelance work, and applying for more lucrative positions, all that was left was to set up with an unfinished song of mine and push it to a new level. "I Believe (Everything I Need)" is now a lot closer to the next album, due our Winter 2014. Read more about my day and recording of the song here. If you like it, please share it with someone you care about! Maybe consider buying a song on Amazon or iTunes to keep me running (recording, that is)! May I suggest one of my favorites sung by Gary Young, written by me, called "I Want You"
Feel free to download and send this song to anyone who may enjoy it - or send a link! Book mark and come back often, new songs are always right around the corner. Grateful for a Friday performance by Glen Phillips at City Winery Napa! Always great to learn from a master songwriter with witty banter, excellent singing, and well crafted guitar work. Two great things happening tomorrow in the same place. I get to check out a venue that has been on my review list for four years, City Winery Napa! On top of that, Glen Phillips is the featured artist, and as our podcast listeners know, Glen was one of my favorite interviews and this podcast re-visits one of our best conversations about Glen, Toad the Wet Sprocket, and the music industry of today. We take a listen back, but take a look forward. Doors open at 6:00 PM. show starts at 8:00 PM.More info on City Winery Napa and their calendar at their website. --Review: The City Winery is a beautiful venue! To be able to enjoy not only world class music, but also culinary specialists in the kitchen is a unique treat that stands alone in the area for its quality. My wife and I basked in the candle lit glow of the tables and excellent service. Glen Phillips of Toad the Wet Sprocket put on an excellent performance, displaying the special connection that a songwriter has to his songs as a master of his craft. We will definitely be returning in the future. Today I spent some time exploring the Martinez Marina in the East Bay. Weather was a pleasant 82 degrees and the breeze blowing in from the Bay was perfect for sitting down and writing some new music. I wrote a new song, which is not this recording, but also came home to hook up my full studio and produce this acoustic and instrumental song. "Multiplied Humanity". It has a neat flow to it, and a little bit of group vocalization. My wife Jessica appears on some high harmony notes midway through to the end. Enjoy and share this mp3! Hope you had a beautiful day too! If you like it, please share it with someone you care about! Maybe even pick up one of my songs on Amazon or itunes to keep everything running! My music for sale is below, make my day and yours! You get the music, remember? the link below is for my instrumental, "Jackson Valley"
After nearly two weeks in the East Bay, I finally got around to implementing the light version of my recording studio. The prevailing demo I am calling "Simple Wanting". It was created by playing a few Jim Croce songs and wanting to emulate his talent as a chord progressionist, (another new word) and his excellent style of singing and songwriting. I hope you enjoy this free download of "Simple Wanting".